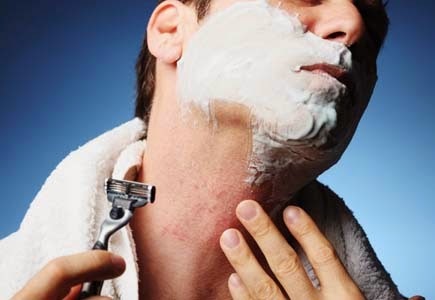 Post shaving redness is a common problem and typically, few make a fuss. In a global survey conducted by Gillette, it was found that 66% of men thought that redness is an unavoidable consequence of a good close shave and we are here to prove that thinking is wrong. Gillette is calling for men to stand up to post shave redness and is challenging men to say NO to shaving redness by using a razor that is tried and tested for ZERO REDNESS. To support this claim, Gillette is offering a MONEY BACK GUARANTEE for any customer who is not satisfied with the performance of the Gillett MACH3 product! 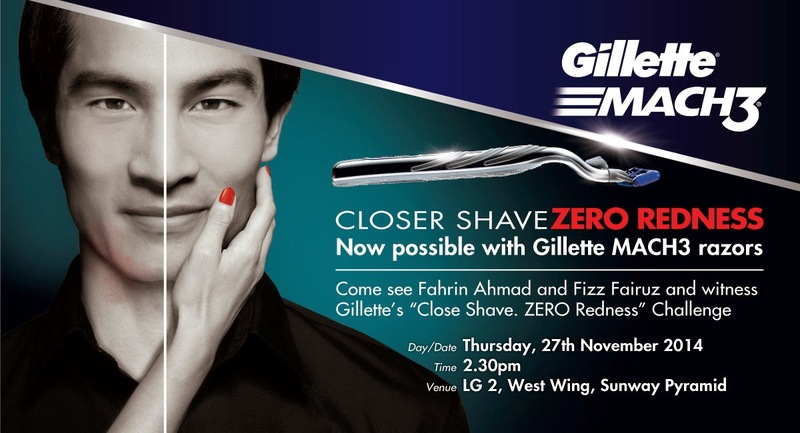 Come see popular Malaysian actors Fahrin Ahmad and Fizz Fairuz take the Gillette “Zero Redness” Challenge on Thursday, 27th November at LG2, West Wing, Sunway Pyramid. Hey Guy! so Go n Take Your Challenge Tomorrow!